Want to impress the guys at the office on your lunch break? Maybe your kids demand the best? 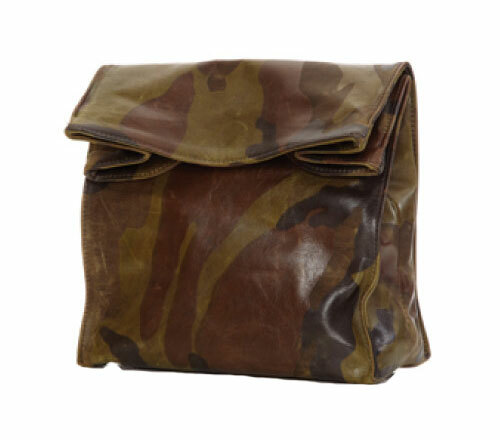 Pick up one of these stylish camouflage Italian leather lunch bags from Logan Zane ($225). Also available in black and brown croc leather, but I recommend the camouflage version pictured. The bag is actually being sold as a wash bag (for toiletries), although I prefer my idea.